For me, it wasn't too hard to accept the premisse of unvoluntary timetravel, and from there the story evolves in it's own logic. I love the way it is told, from the start to the unescapable end (about which I of course won't reveal a thing) and I especially appreciated the touching love story. This book will have to come back to my house, I really don't want to say goodbye, but I did promiss to lend it to my dear friend Biba. I hope you'll enjoy it just as much as I did! Oh yes, I loved it equally. I raced through it in a matter of days. 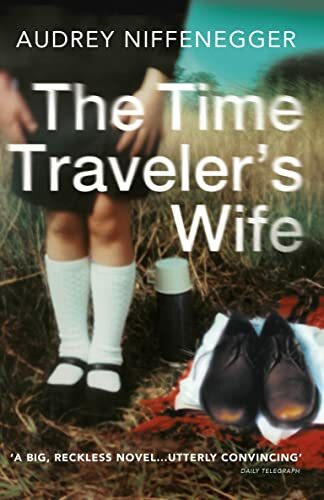 After all the bickering that has been going on about the consequences of time travel and the logic, or lack of it, in this book, I decided not to bother at all and just let the story wash over me. Indeed it did. Thank you, I enjoyed it very much! It will get back to your house in a matter of days. This book came home again, to be loved and cherished on my shelves.